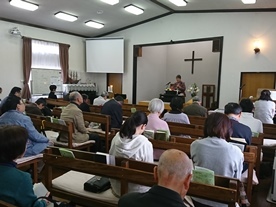 Early Morning Prayers through the Passion Week from April 15 to 20, 2019. 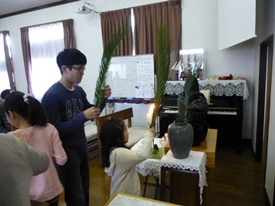 The 6th Sunday Worship of Lent on Palm Sunday, April 14, 2019. 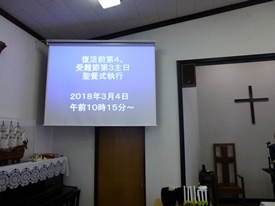 The 5th Sunday Worship of Lent on April 7, 2019. 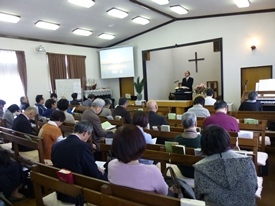 The 4th Sunday Worship in Lent on March 31, 2019. 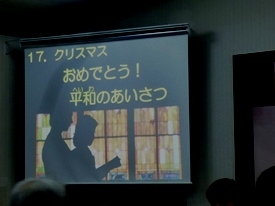 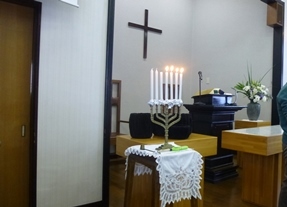 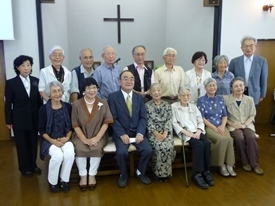 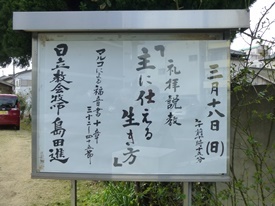 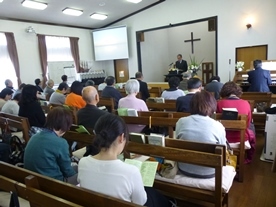 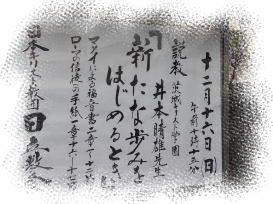 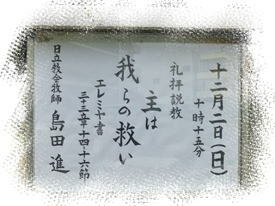 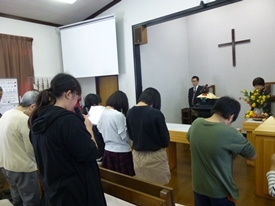 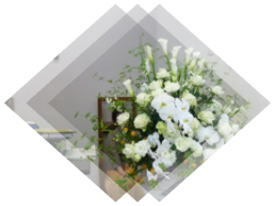 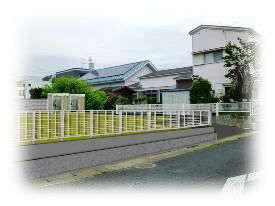 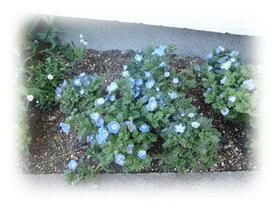 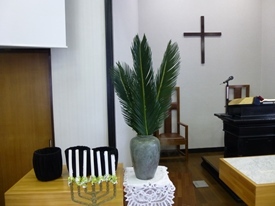 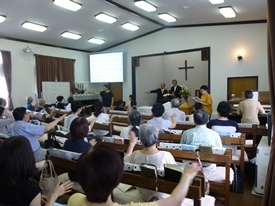 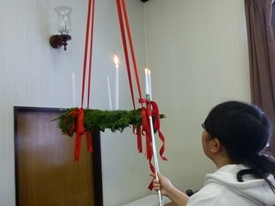 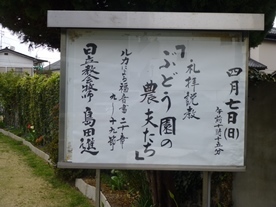 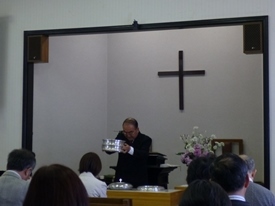 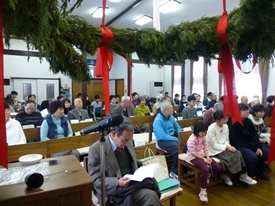 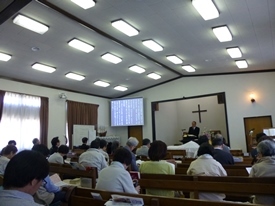 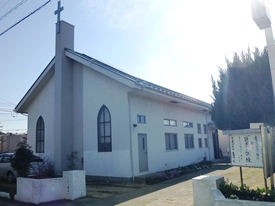 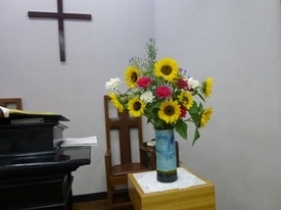 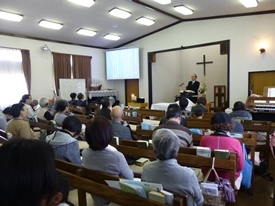 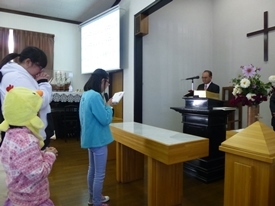 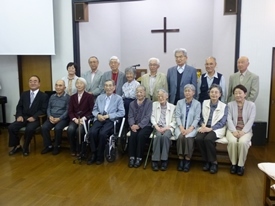 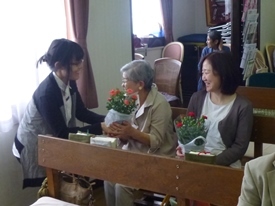 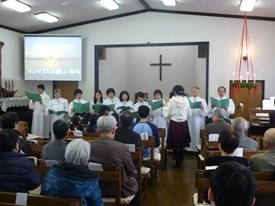 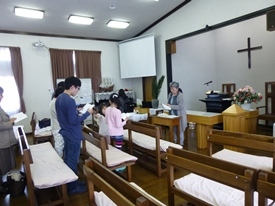 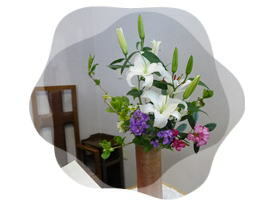 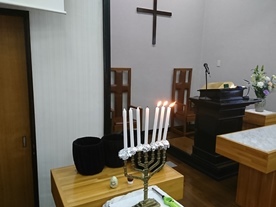 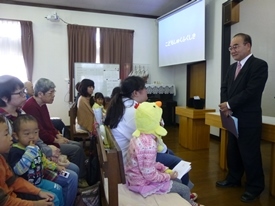 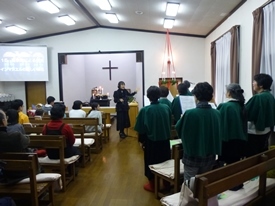 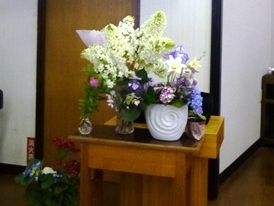 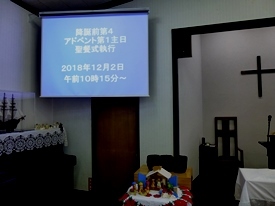 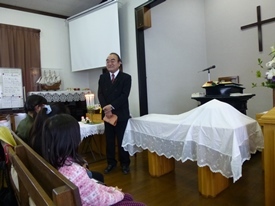 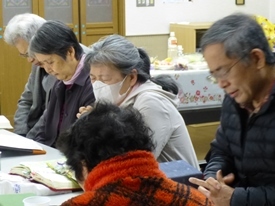 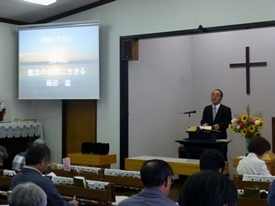 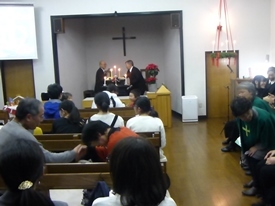 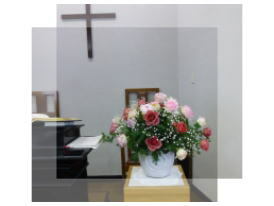 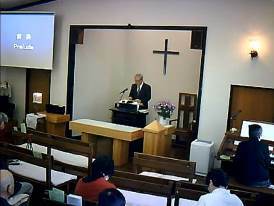 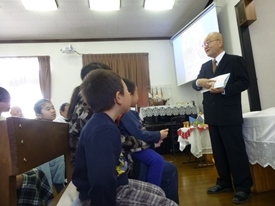 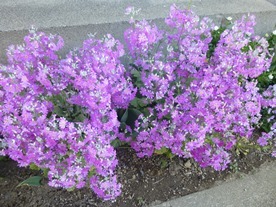 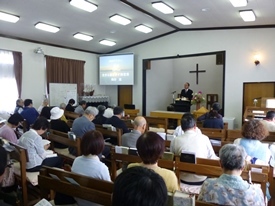 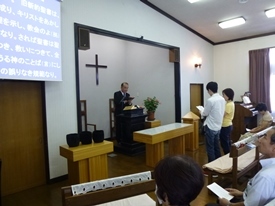 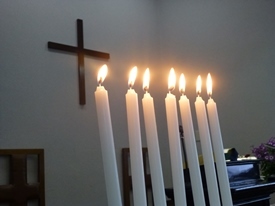 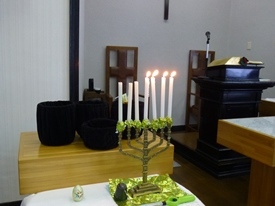 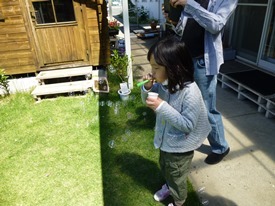 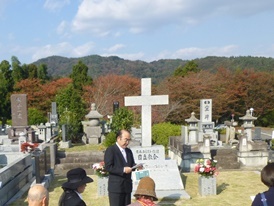 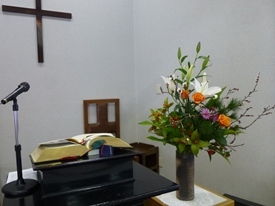 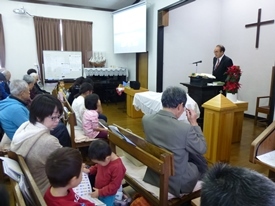 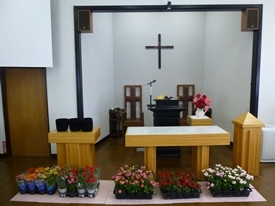 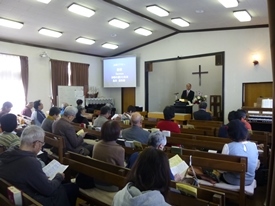 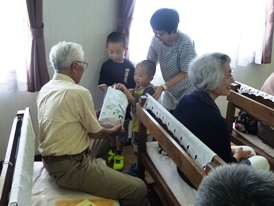 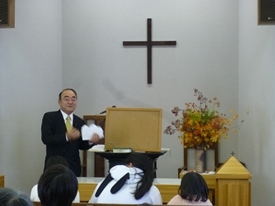 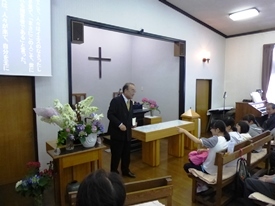 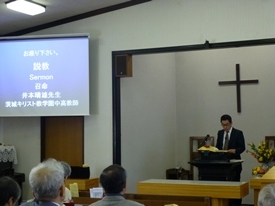 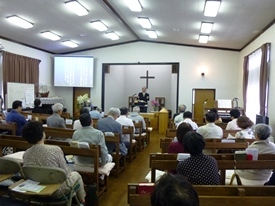 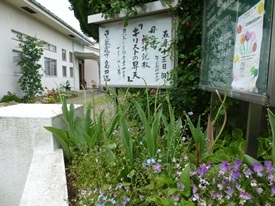 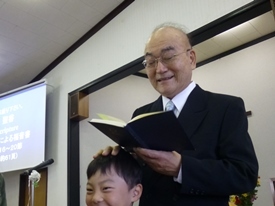 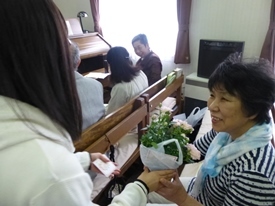 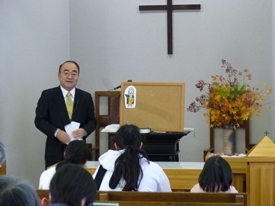 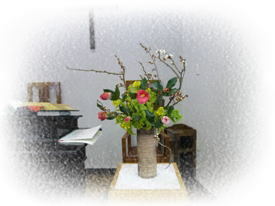 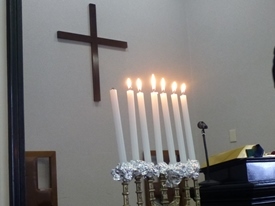 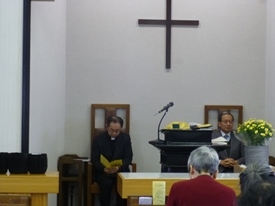 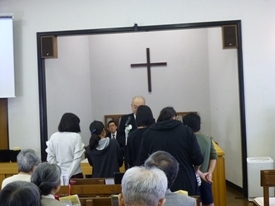 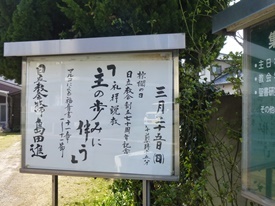 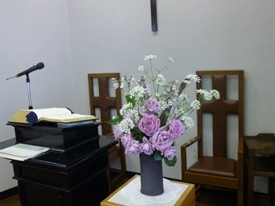 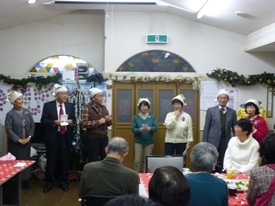 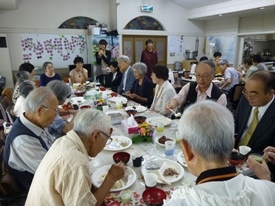 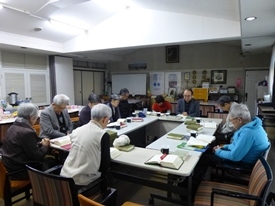 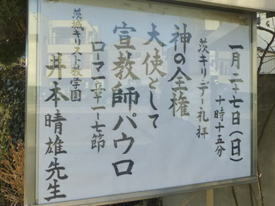 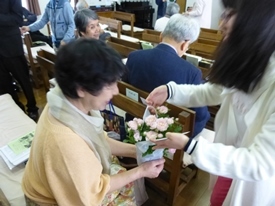 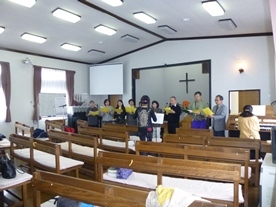 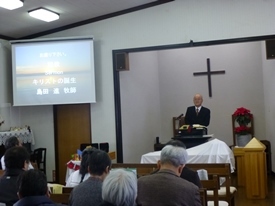 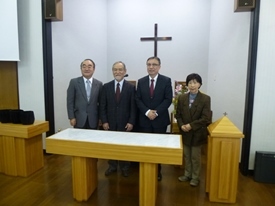 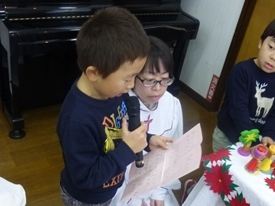 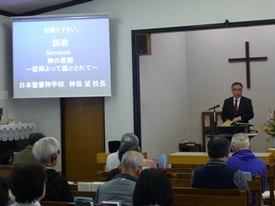 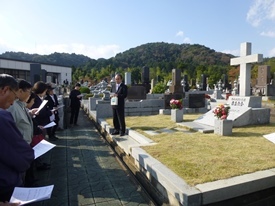 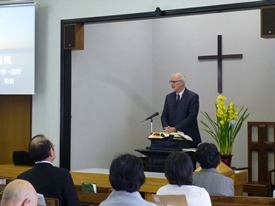 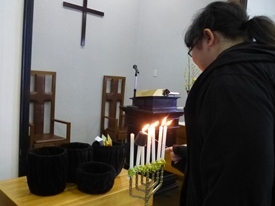 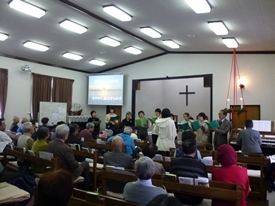 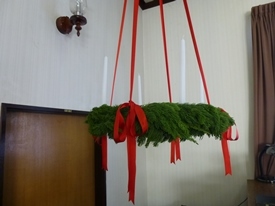 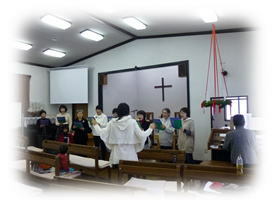 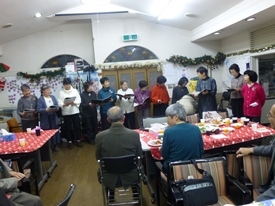 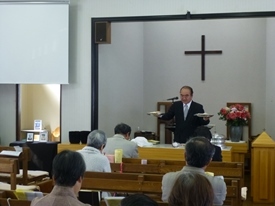 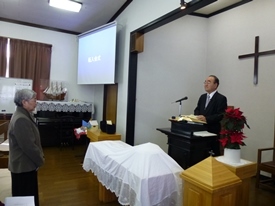 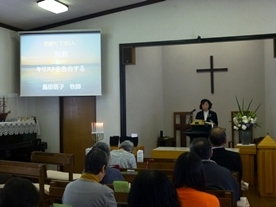 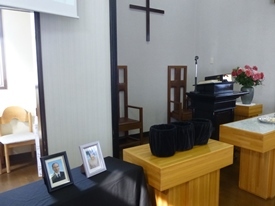 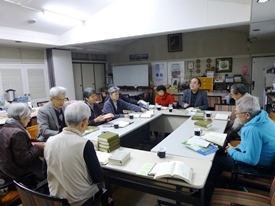 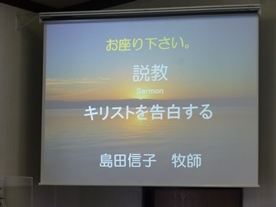 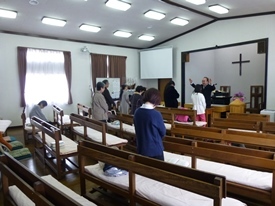 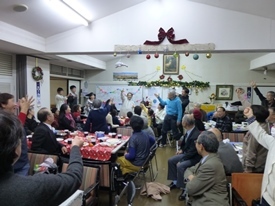 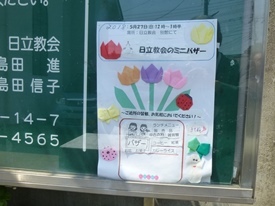 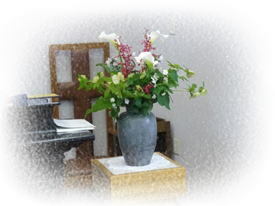 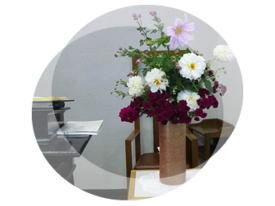 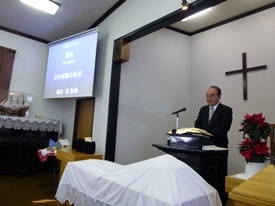 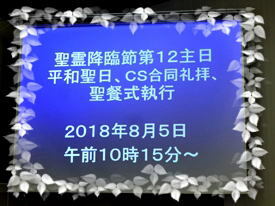 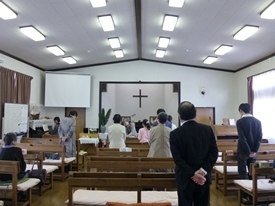 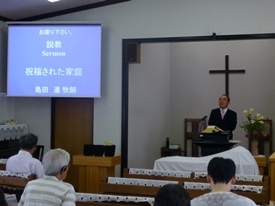 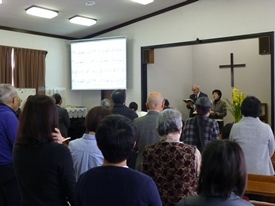 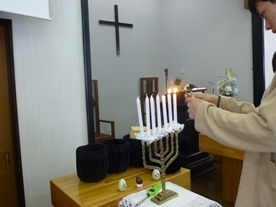 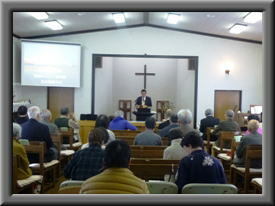 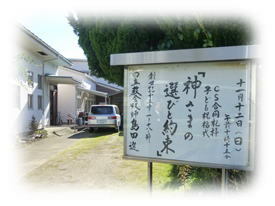 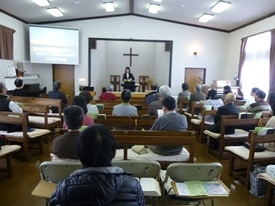 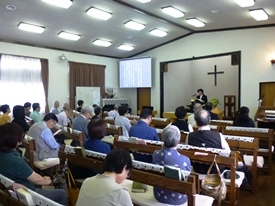 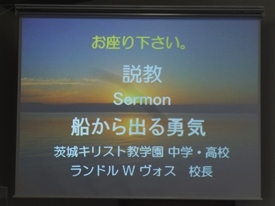 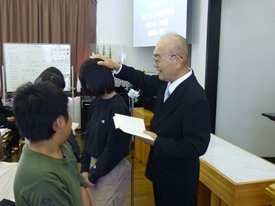 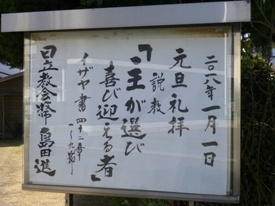 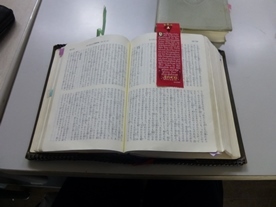 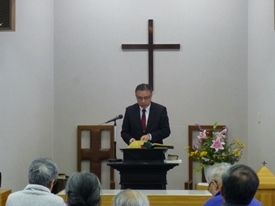 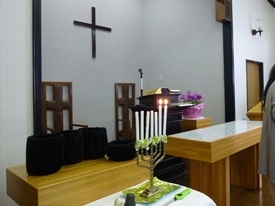 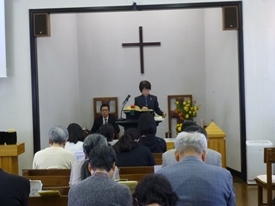 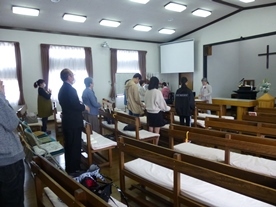 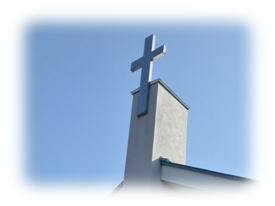 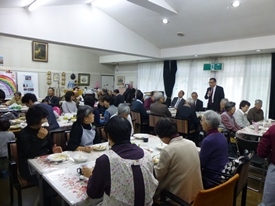 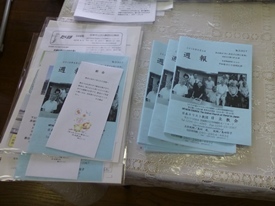 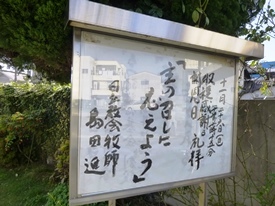 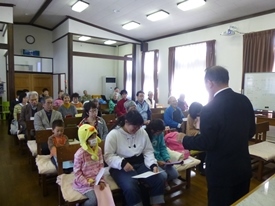 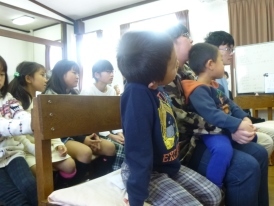 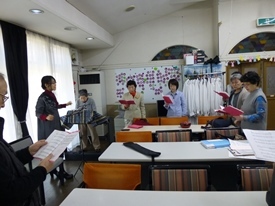 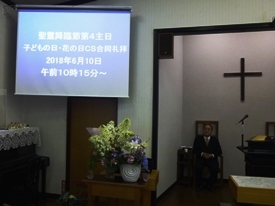 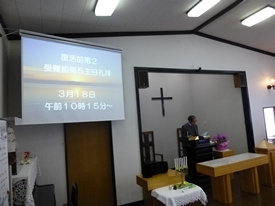 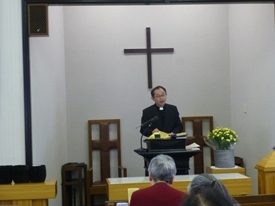 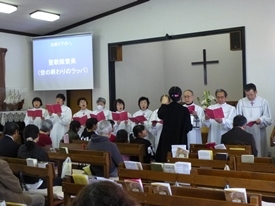 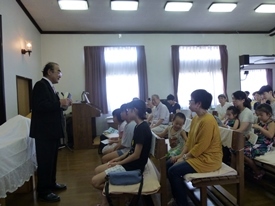 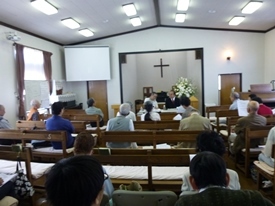 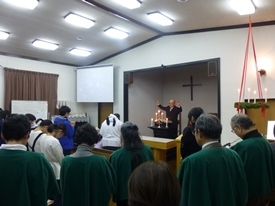 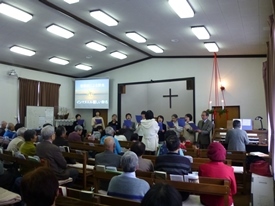 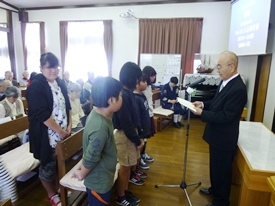 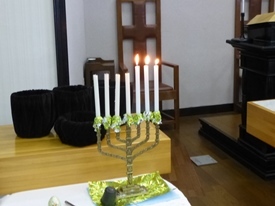 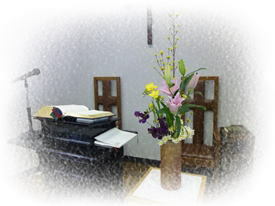 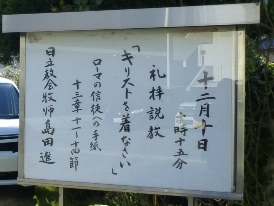 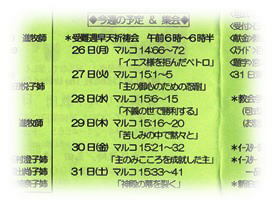 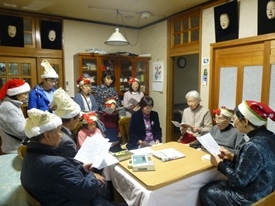 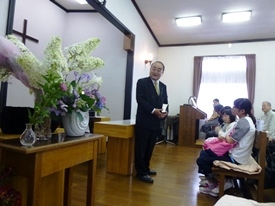 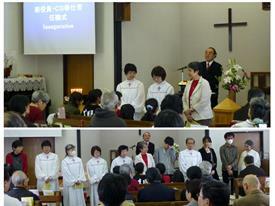 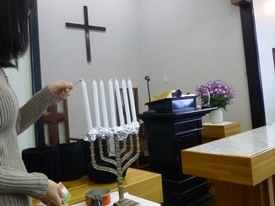 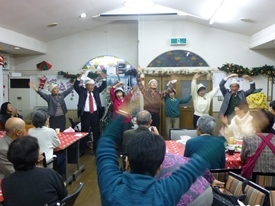 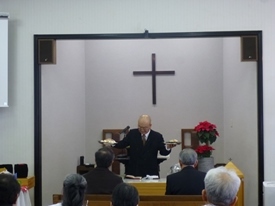 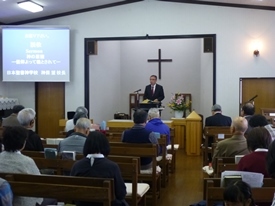 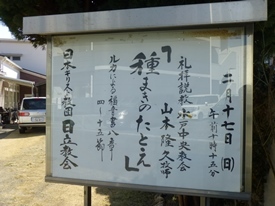 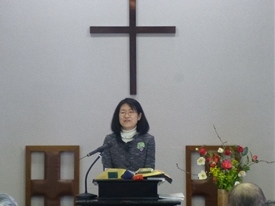 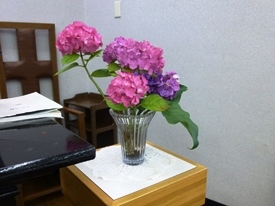 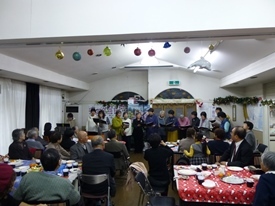 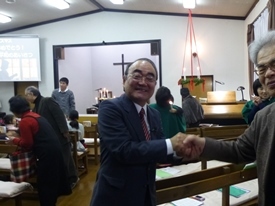 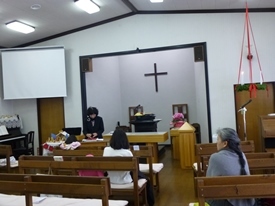 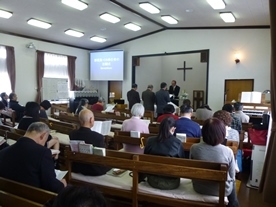 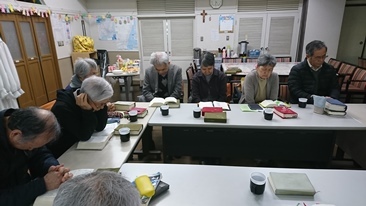 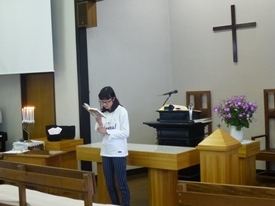 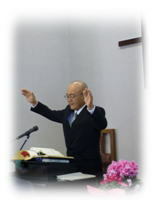 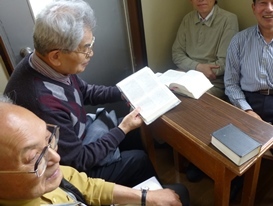 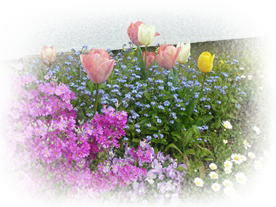 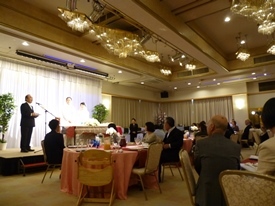 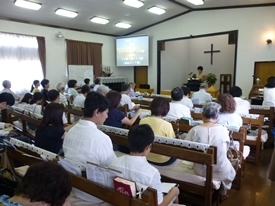 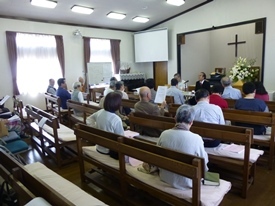 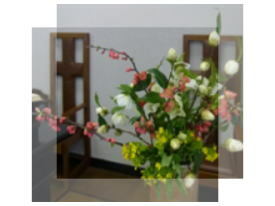 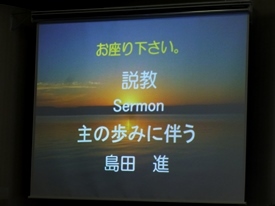 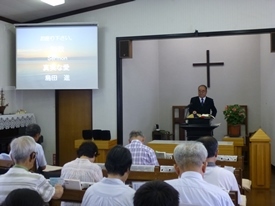 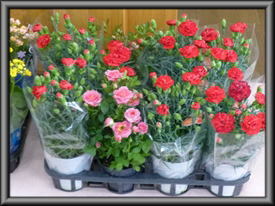 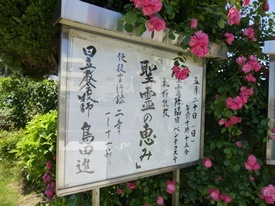 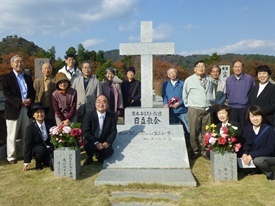 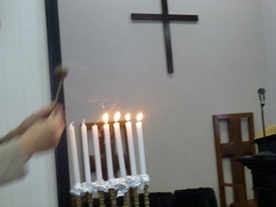 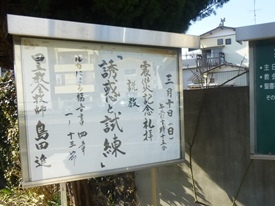 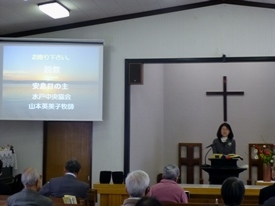 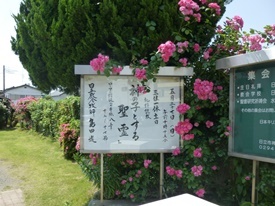 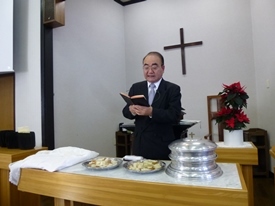 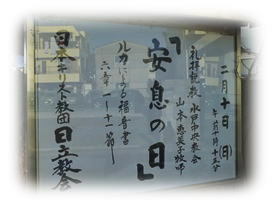 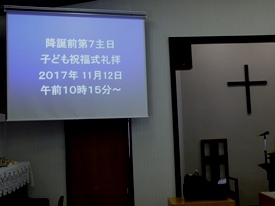 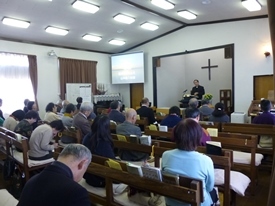 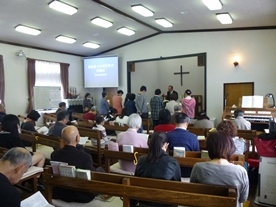 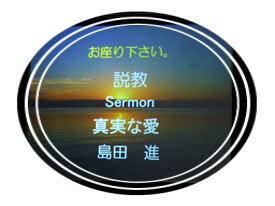 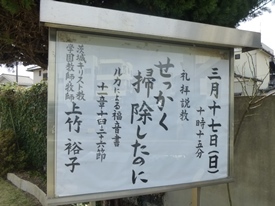 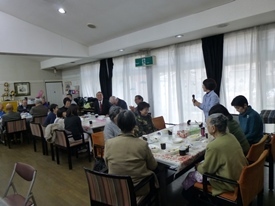 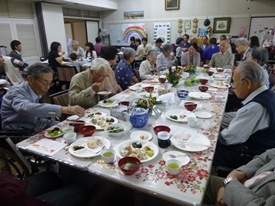 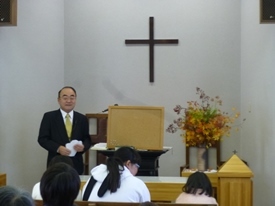 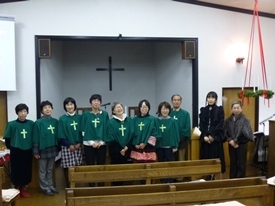 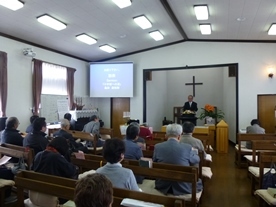 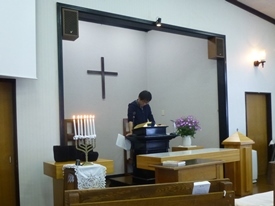 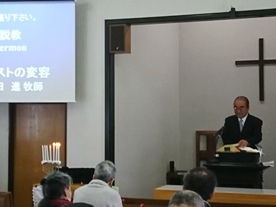 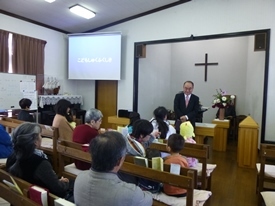 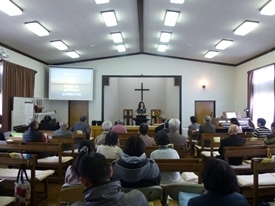 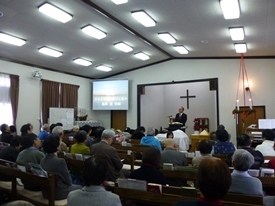 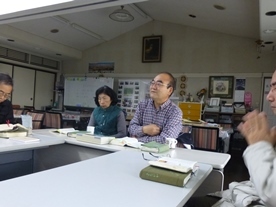 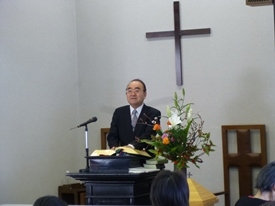 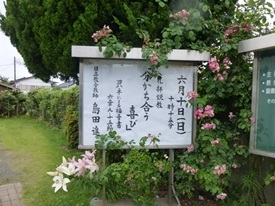 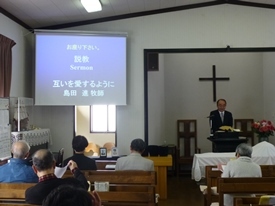 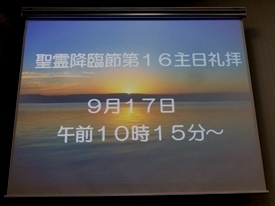 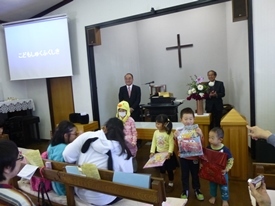 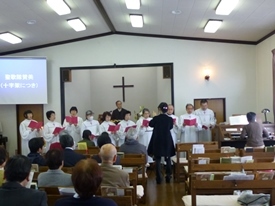 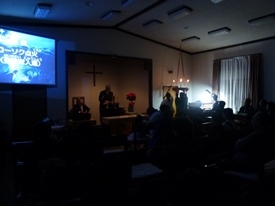 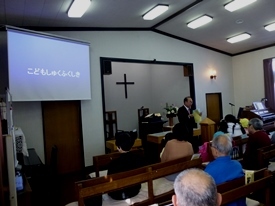 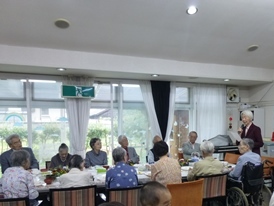 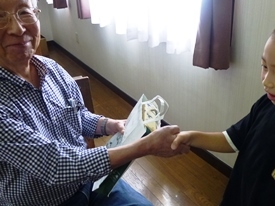 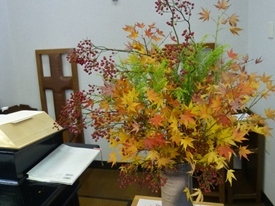 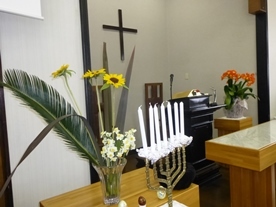 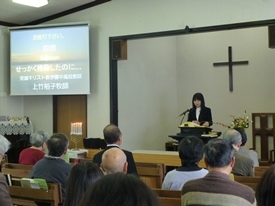 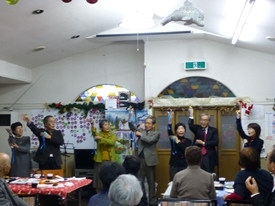 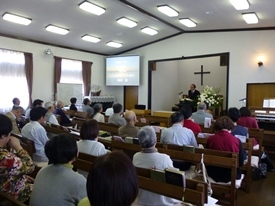 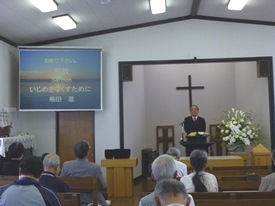 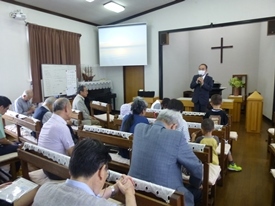 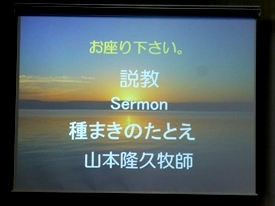 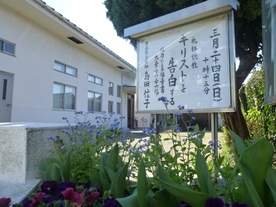 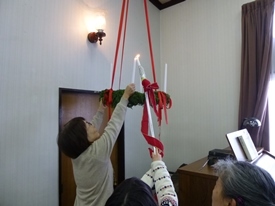 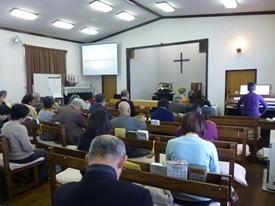 The 71st Anniversary of Hitachi Church, UCCJ. 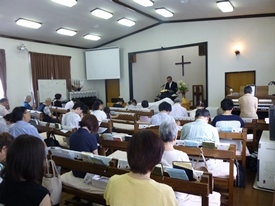 The Third Sunday Worship in Lent on March 24, 2019. 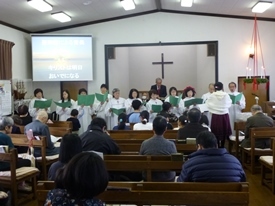 The Second Sunday Worship in Lent on March 17, 2019. 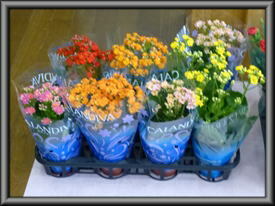 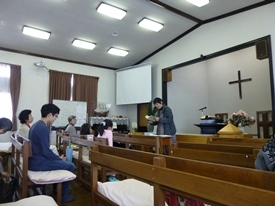 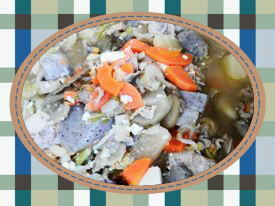 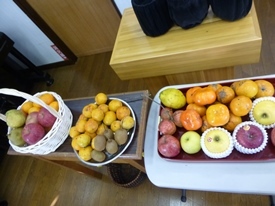 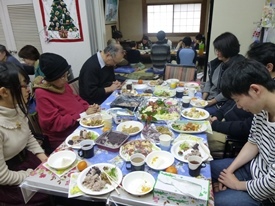 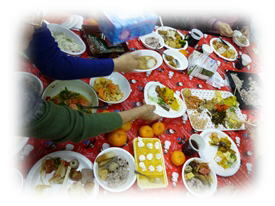 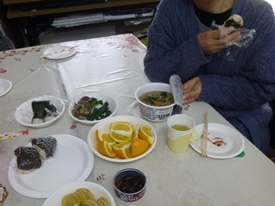 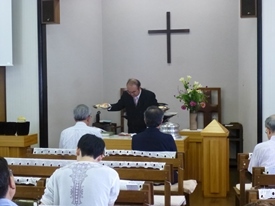 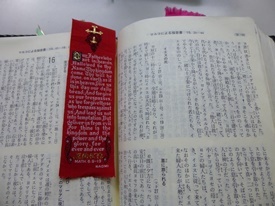 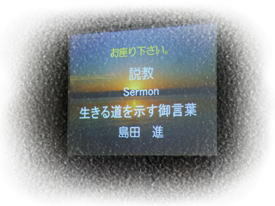 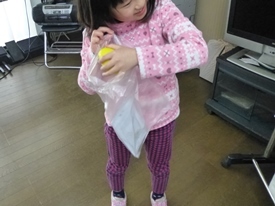 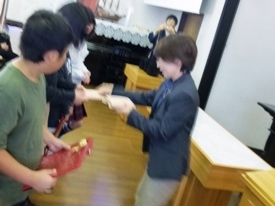 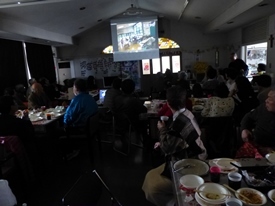 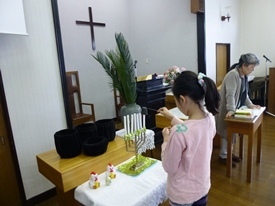 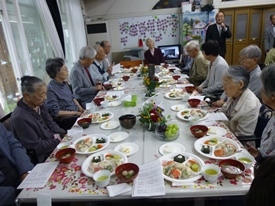 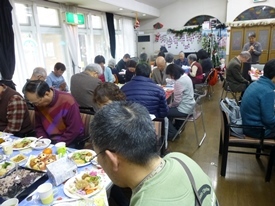 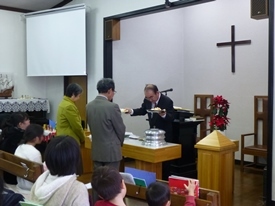 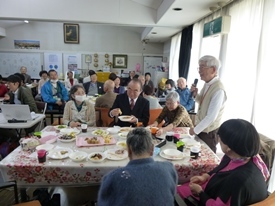 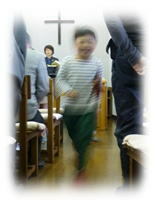 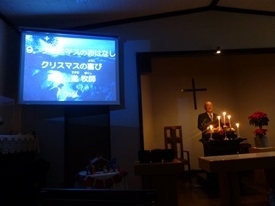 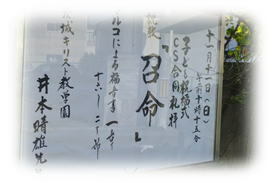 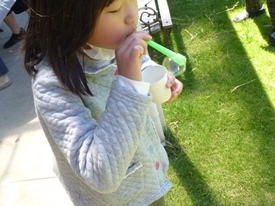 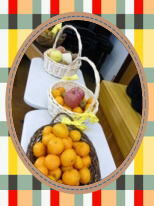 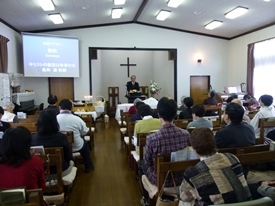 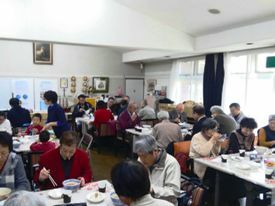 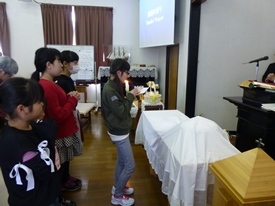 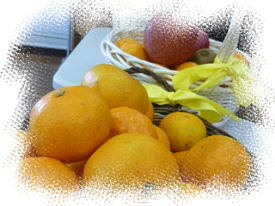 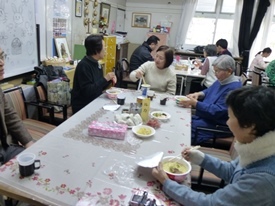 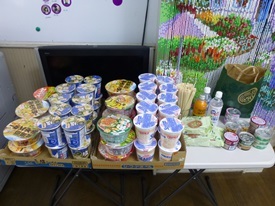 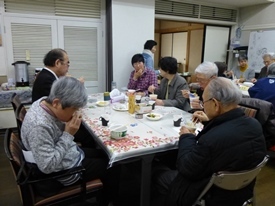 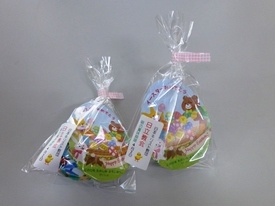 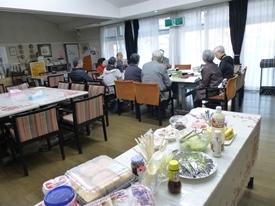 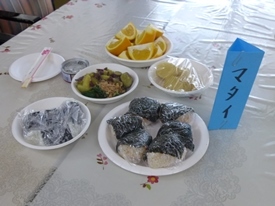 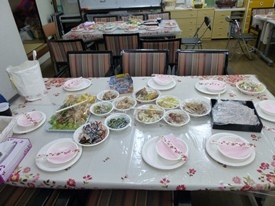 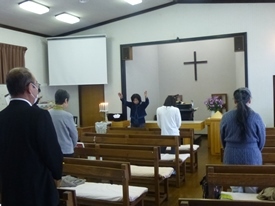 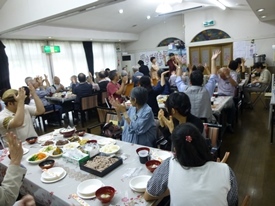 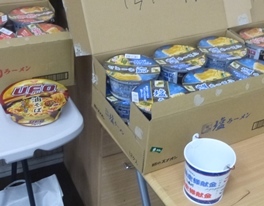 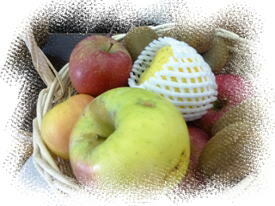 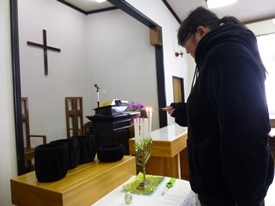 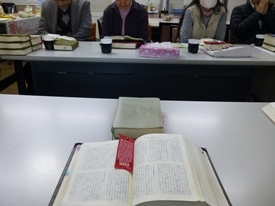 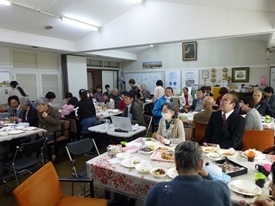 Memorial Worship for Great East Japan Earthquake on March 11, 2011.
the Love Feast with Emergency Provisions. 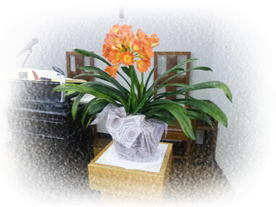 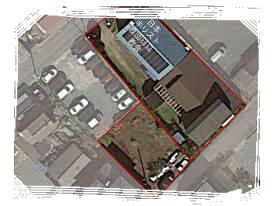 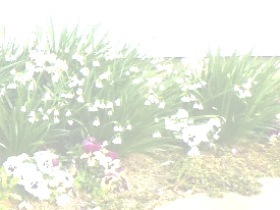 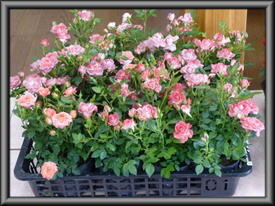 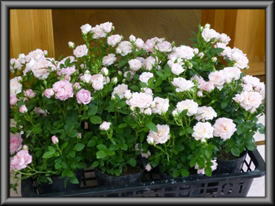 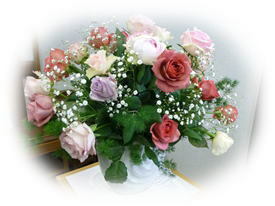 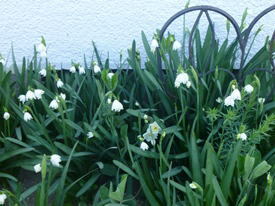 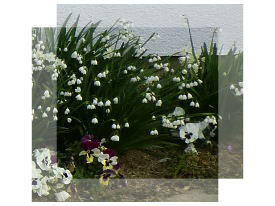 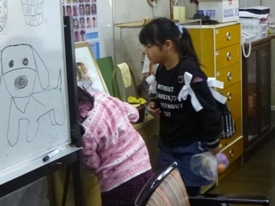 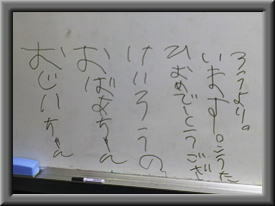 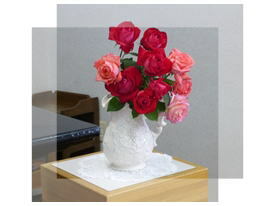 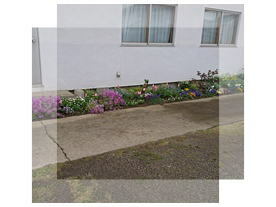 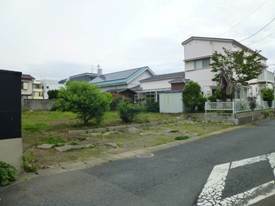 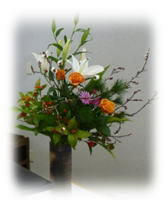 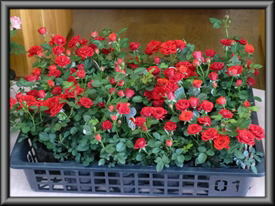 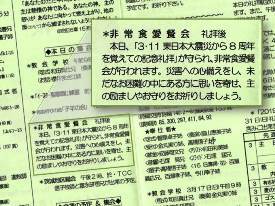 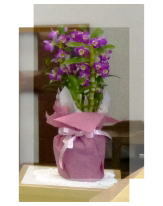 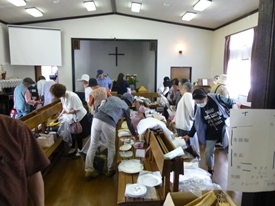 We remember the disaster, Great East Japan Earthquake on March 11, 2011. 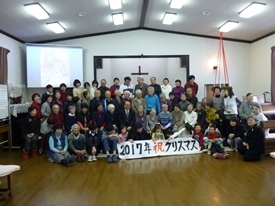 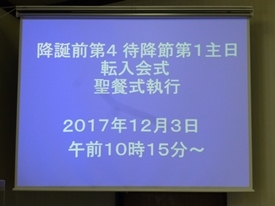 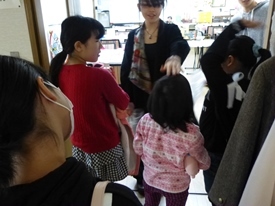 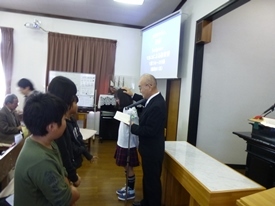 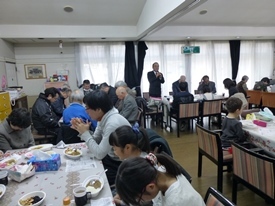 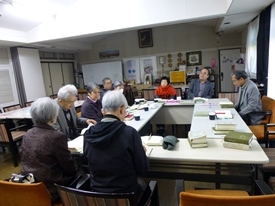 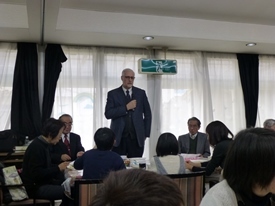 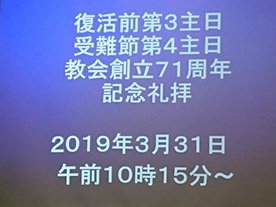 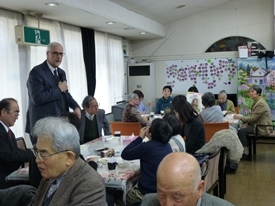 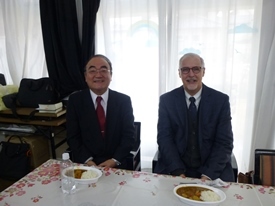 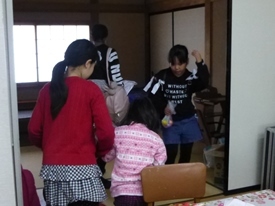 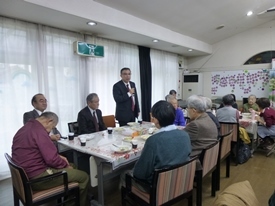 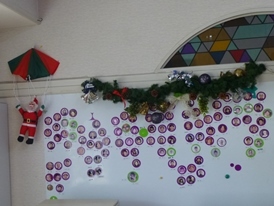 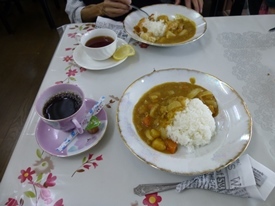 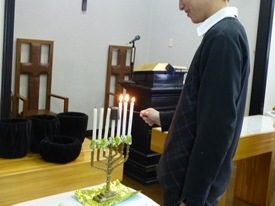 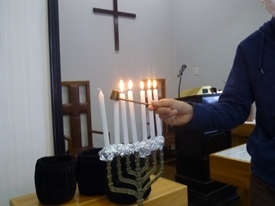 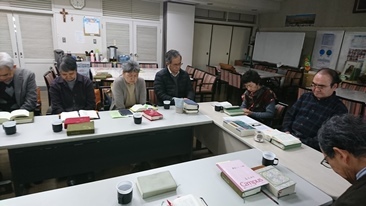 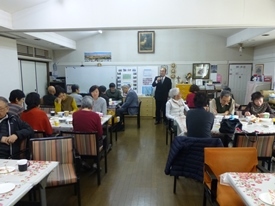 Ibaraki Christian College/High School Day held on January 27, 2019. 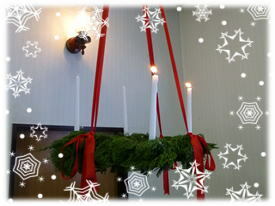 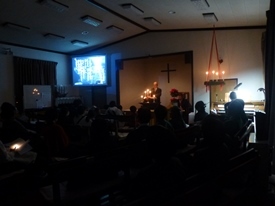 Christmas Worship and the following Love Feast on December 23, 2018. 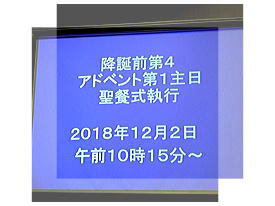 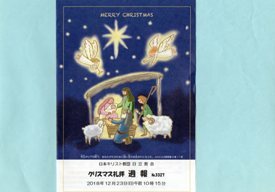 Advent ２０１８ starting from December 2. 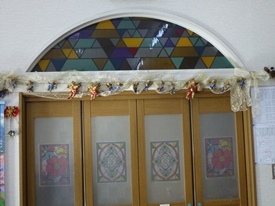 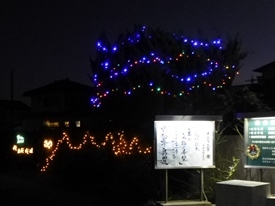 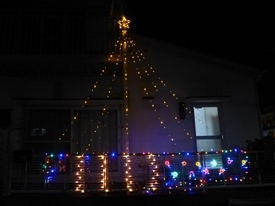 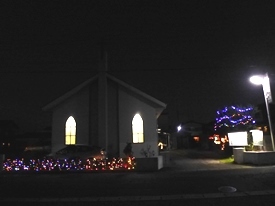 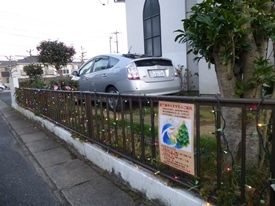 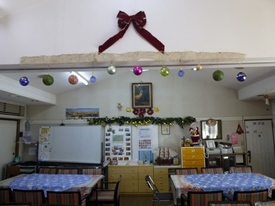 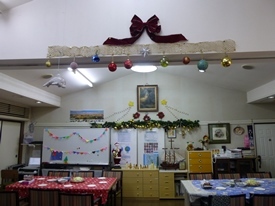 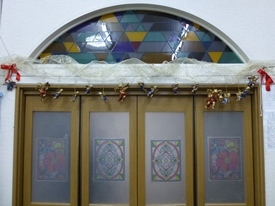 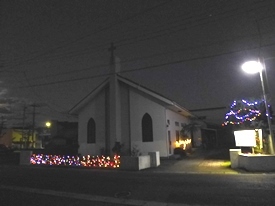 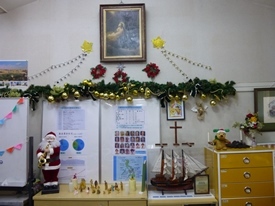 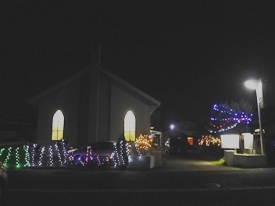 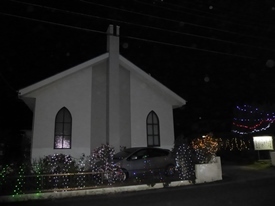 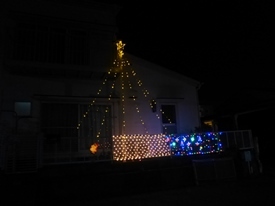 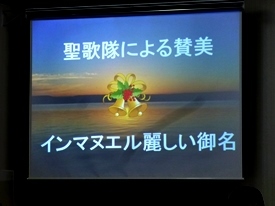 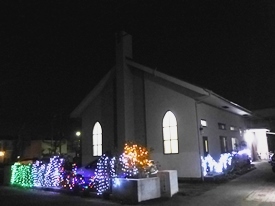 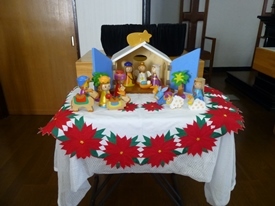 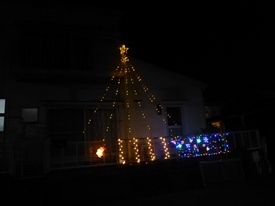 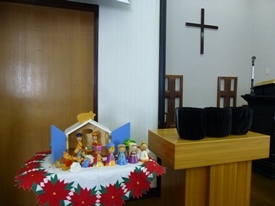 2018 Christmas Decorations and Illuminations around Hitachi Church. 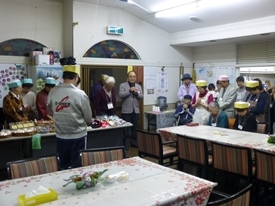 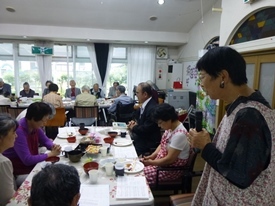 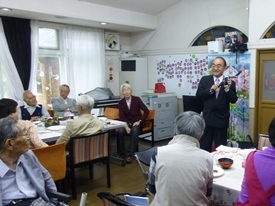 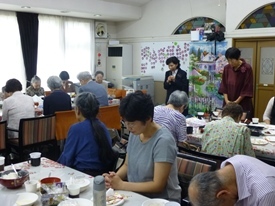 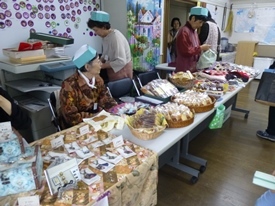 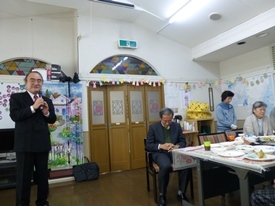 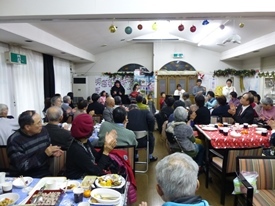 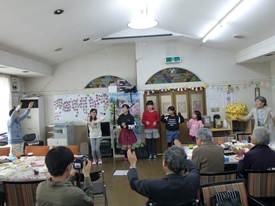 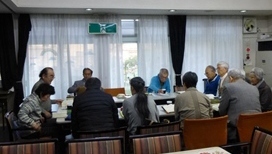 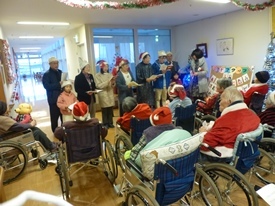 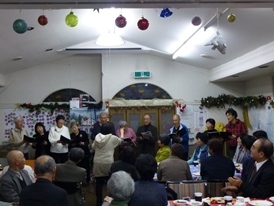 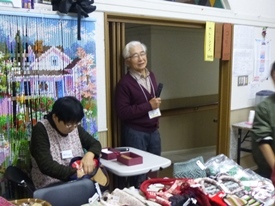 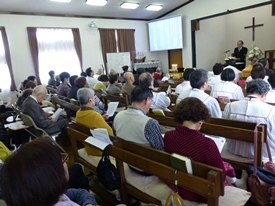 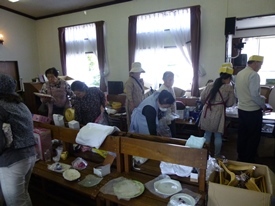 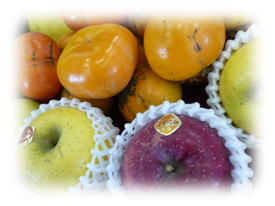 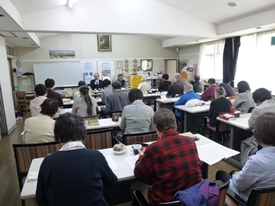 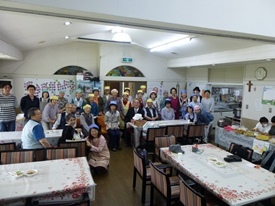 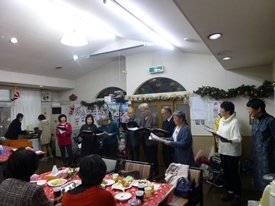 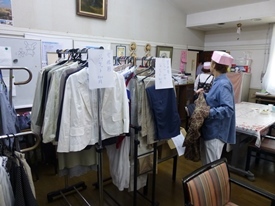 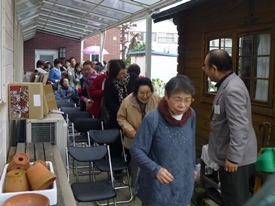 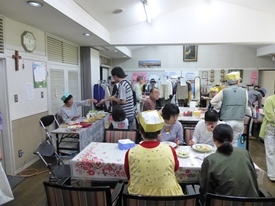 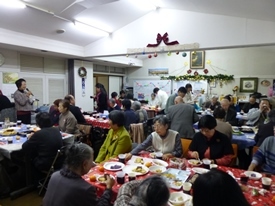 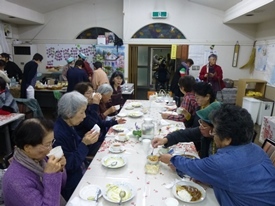 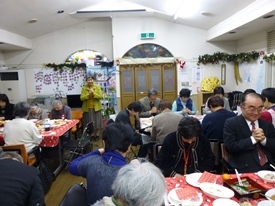 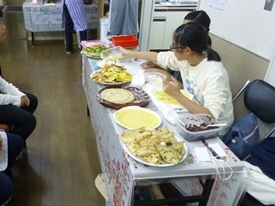 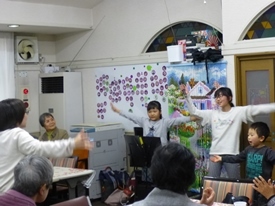 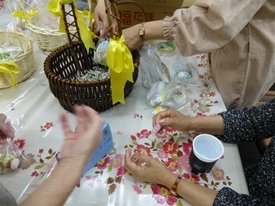 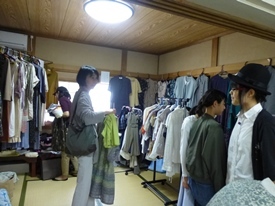 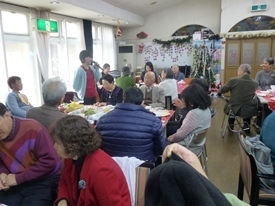 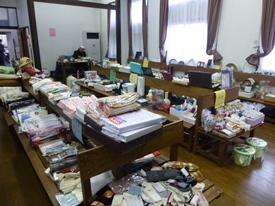 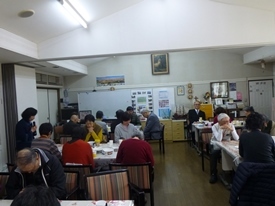 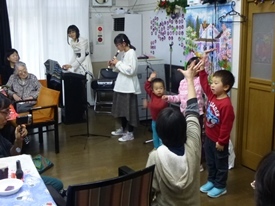 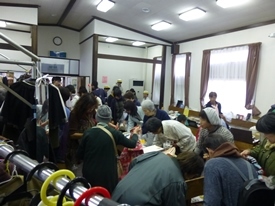 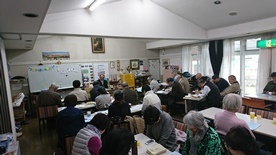 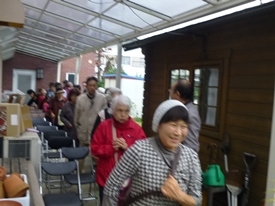 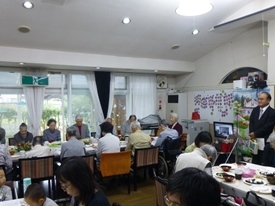 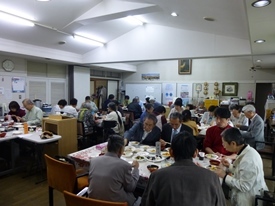 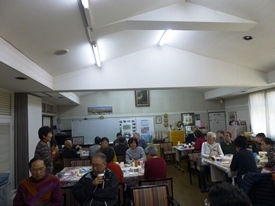 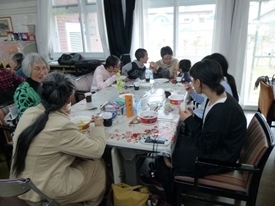 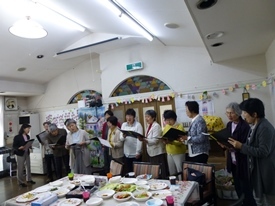 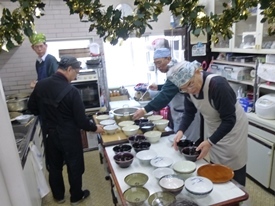 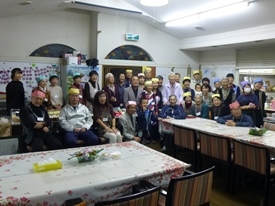 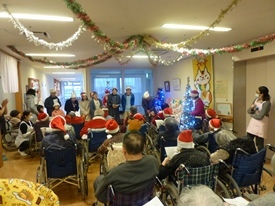 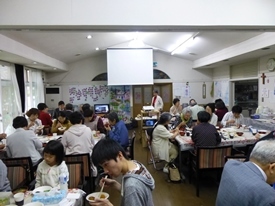 The annual Hitachi Church Bazaar on October 20, 2018. 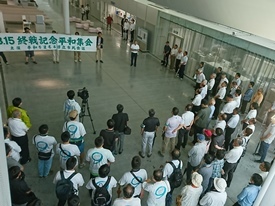 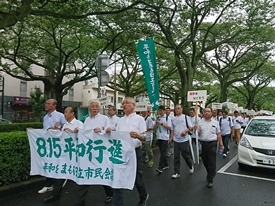 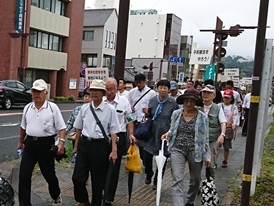 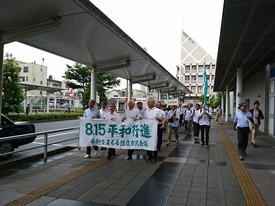 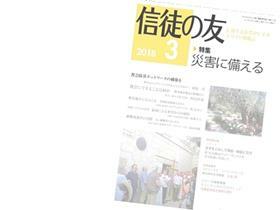 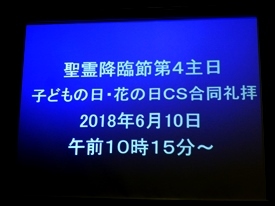 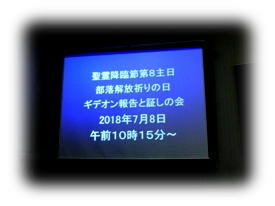 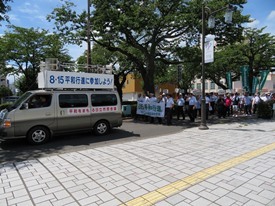 Peace March in Hitachi City on August 15 2018. 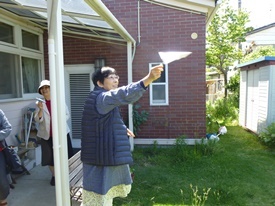 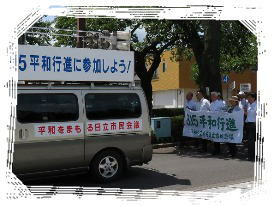 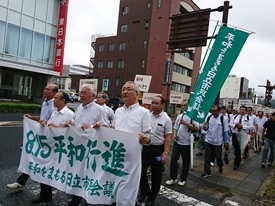 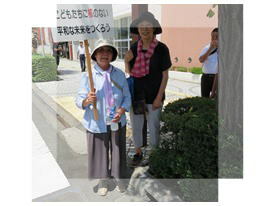 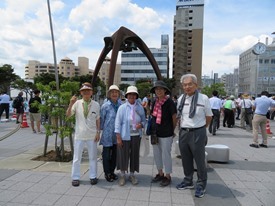 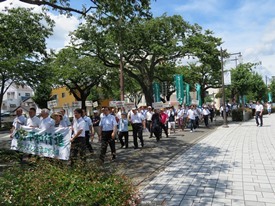 Hitachi Church members attended the Rally and the Peace March from the City Hall to JR Hitachi Station. 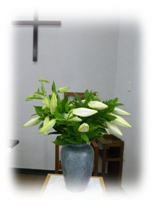 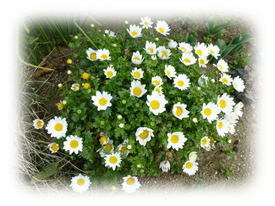 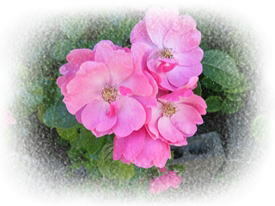 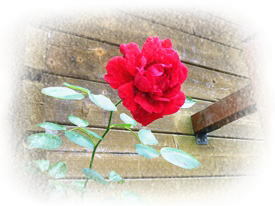 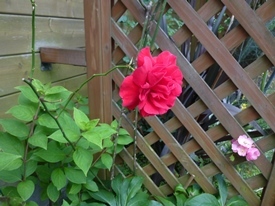 The first Sunday in August is 'The Holy Day for Peace' in our calendar. 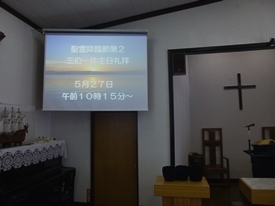 We prayed for world Peace on August 5, 2018. 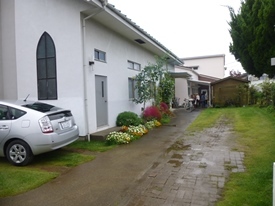 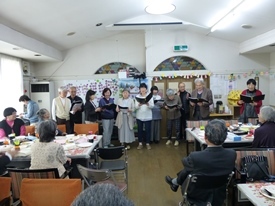 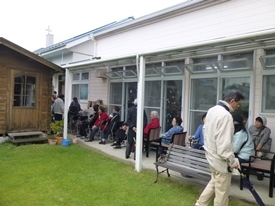 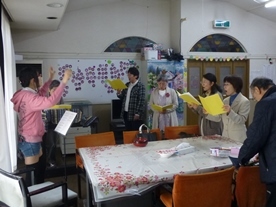 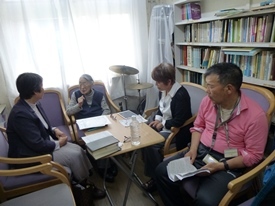 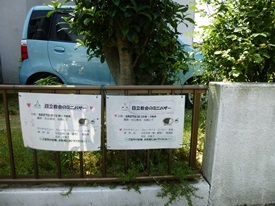 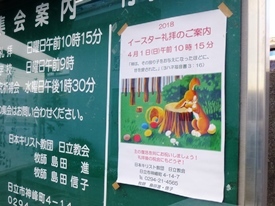 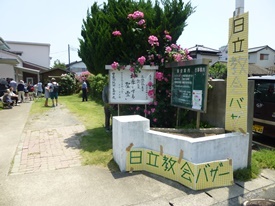 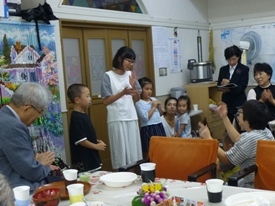 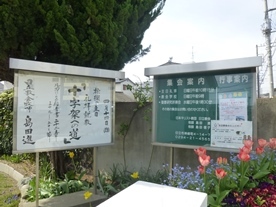 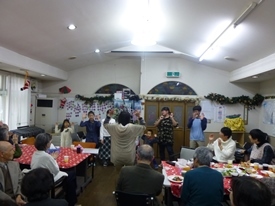 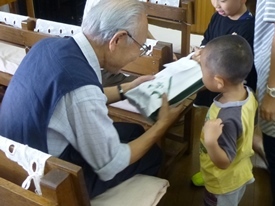 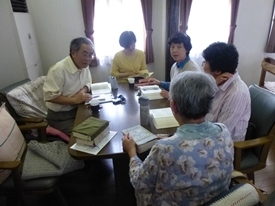 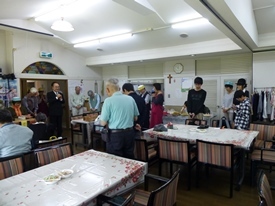 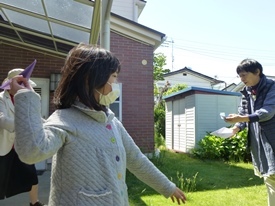 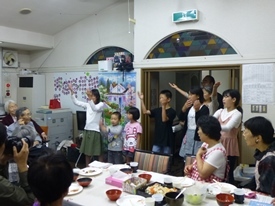 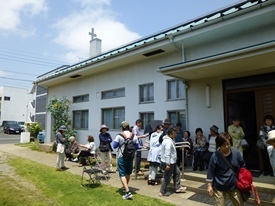 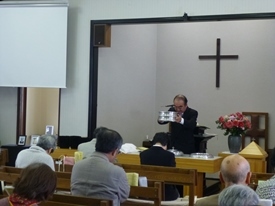 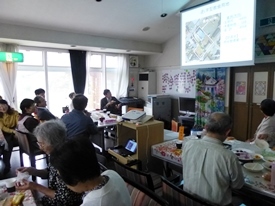 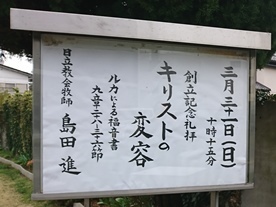 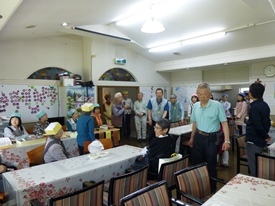 Trinity Sunday and Mini-Bazaar of Hitachi Church, UCCJ on May 27, 2018. 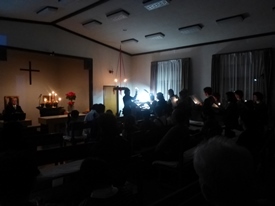 Pentecost on May 20, 2018. 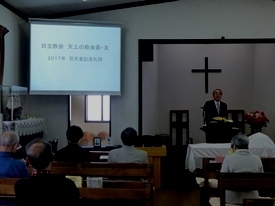 General Meeting for fiscal 2017 final accounts held on April 22, 2018. 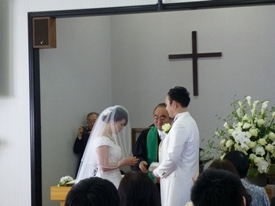 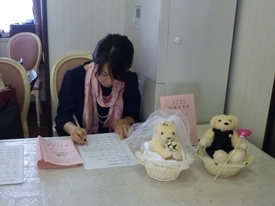 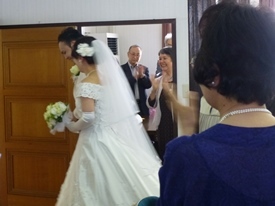 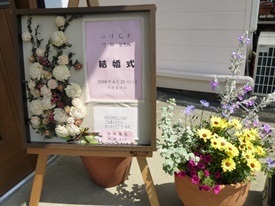 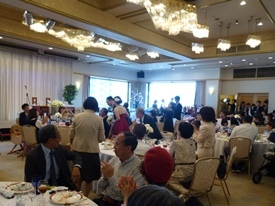 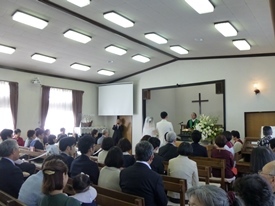 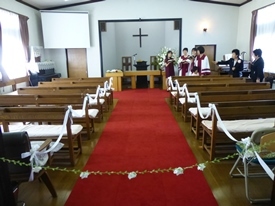 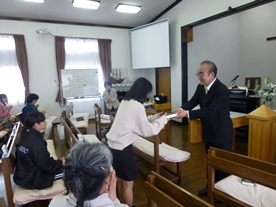 Wedding Ceremony held at Hitachi Church on April 21, 2018. 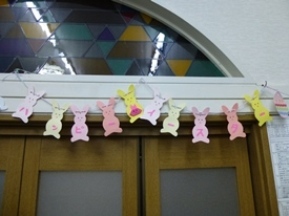 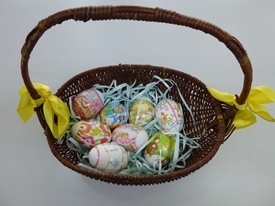 Preparing for Easter on March 31, 2018. 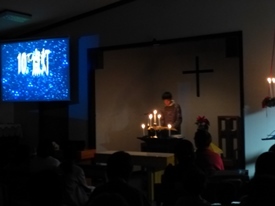 Early Morning Prayers through the Passion Week from March 26 to 31, 2018. 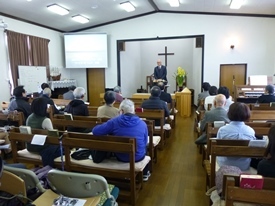 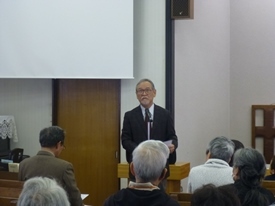 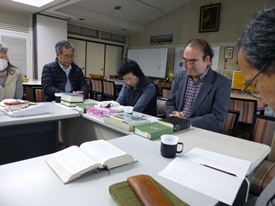 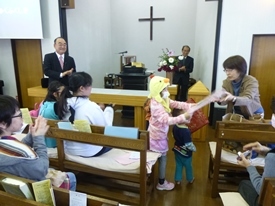 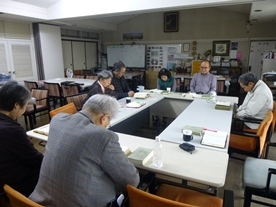 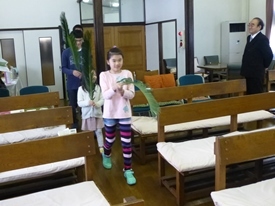 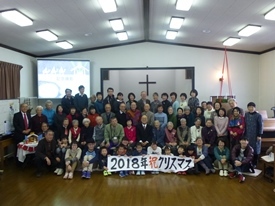 70th Anniversary of Hitachi Church Foundation on Palm Sunday, March 25, 2018. 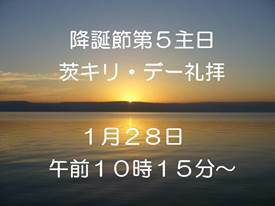 The 5th Sunday of Lent and the consecutive calendar. 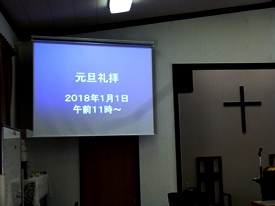 February 18, 2018, The first Sunday of Lent followed by Easter on April 1. 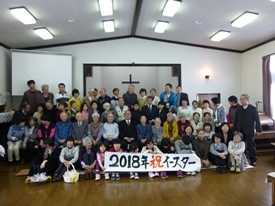 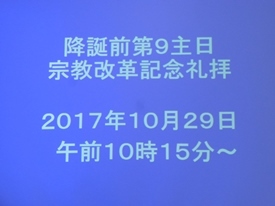 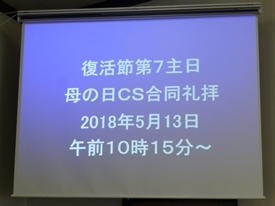 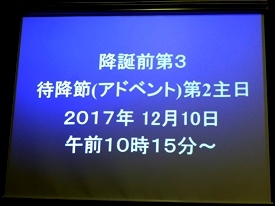 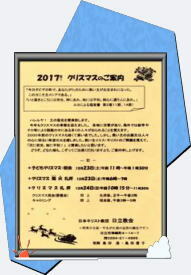 Ibaraki Christian College/High School Day held on January 28, 2018. 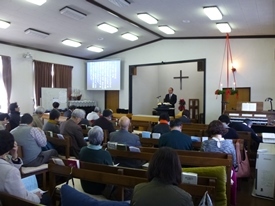 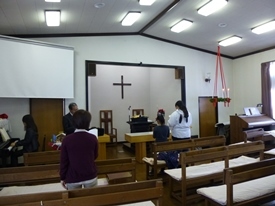 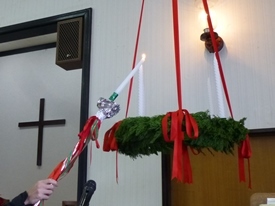 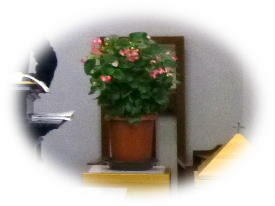 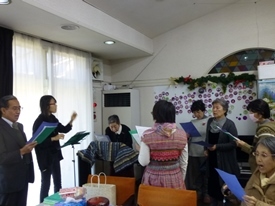 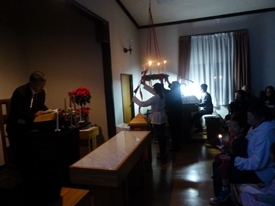 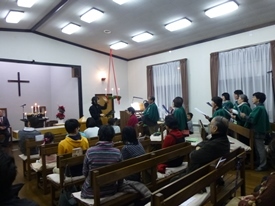 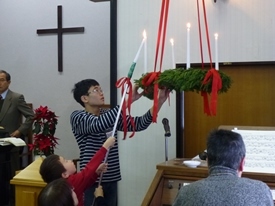 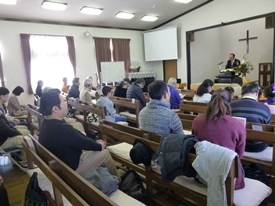 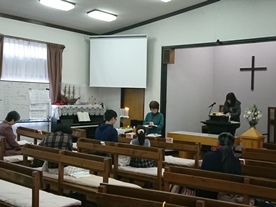 Worship on New Year's Day, 2018. 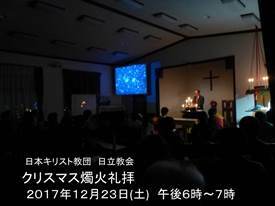 Christmas Worship and the following Love Feast on December 24, 2017. 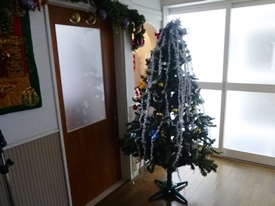 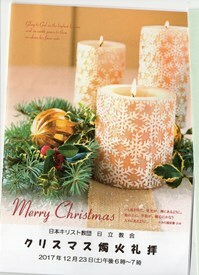 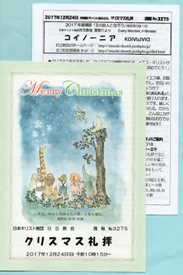 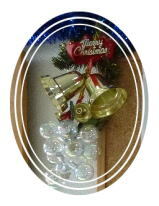 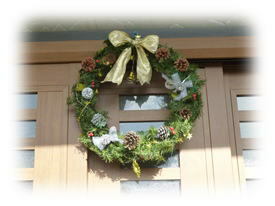 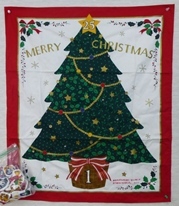 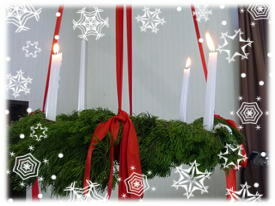 Once more, Merry Christmas ! 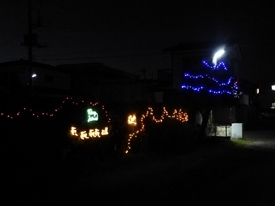 and Happy New Year ! 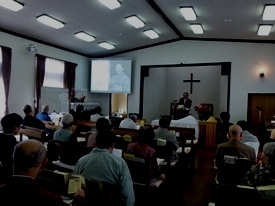 Worship commemorating 500th Anniversary of the Reformation held on October 29, 2017. 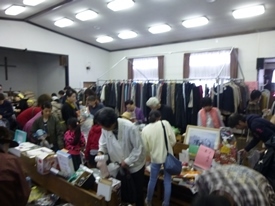 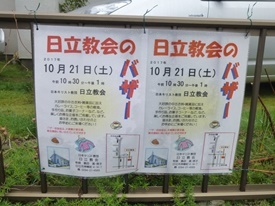 The annual Hitachi Church Bazaar on October 21, 2017. 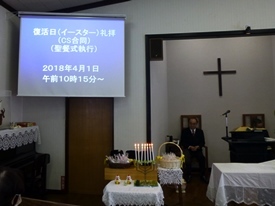 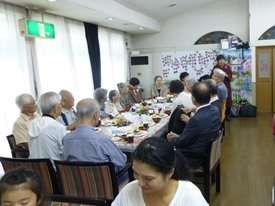 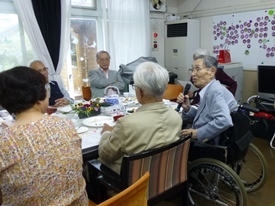 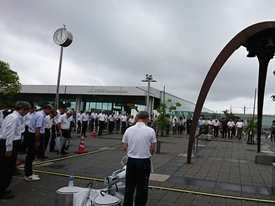 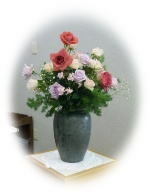 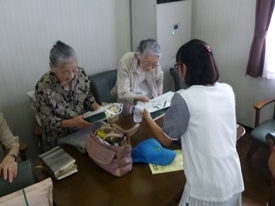 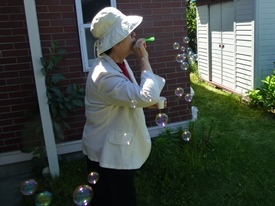 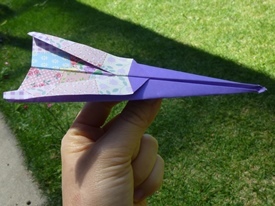 August reminds us many memorable events concerning peace on earth such as both the Atomic Bombing Memorial Days of Hiroshima and Nagasaki, August 6 and 9, 1945, respectively, together with the Anniversary of the End of the Pacific War on August 15, 1945. 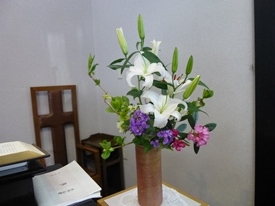 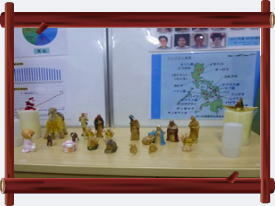 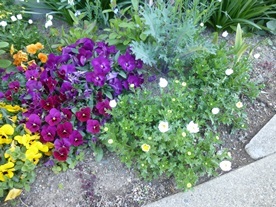 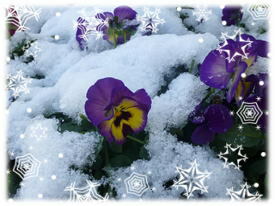 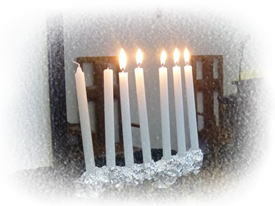 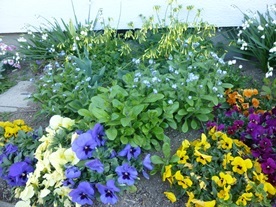 In this month, we pray for peace. 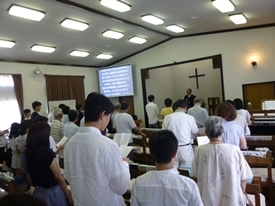 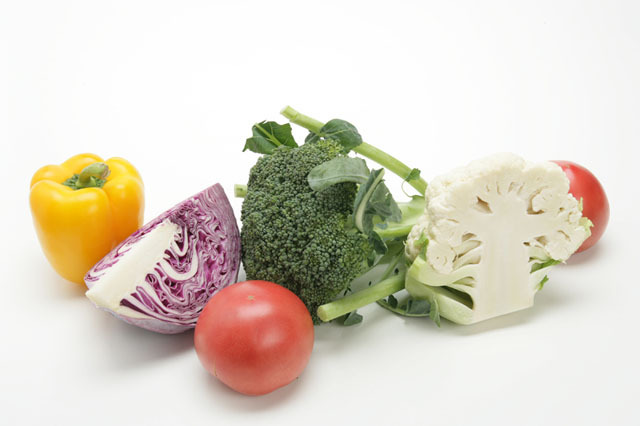 We ｒｅｍｅｍｂｅｒ the first Sunday of August as "Peace Sunday" every year. 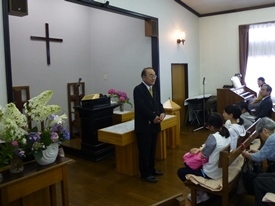 On August 6, 2017, we had the Worship for Peace with Church School children. 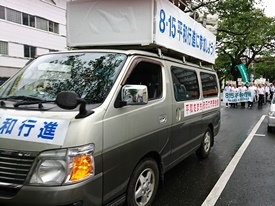 Peace March in Hitachi City on August 15 2017. 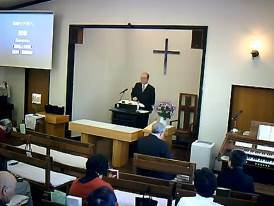 GIDEON Report and Testimony Sharing held on July 16, 2017.